Select an appointment — In order to select an appointment please tap on the appointment element. Modify the start or end time of an appointment — In order to modify the start or end time of an appointment either drag the appointment top resize handle or drag the appointment bottom resize handle. 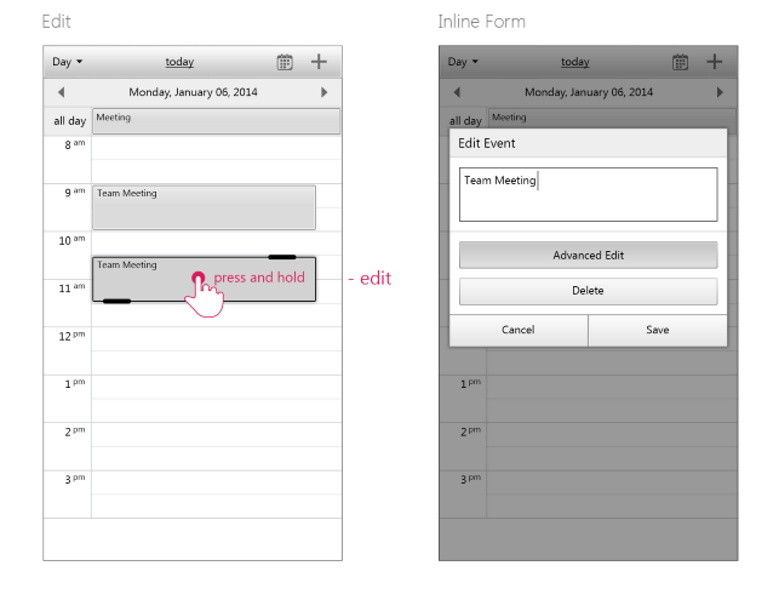 Edit an appointment — In order to edit an appointment you can tap and hold on the appointment element. 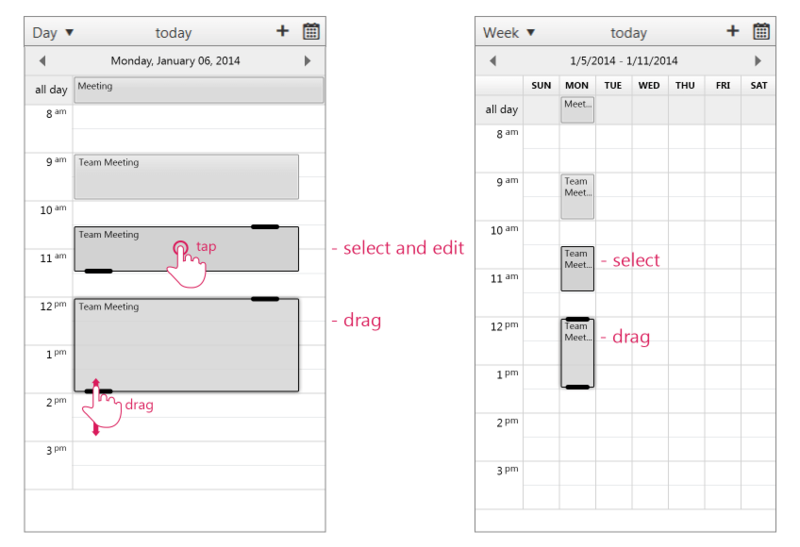 Figure 1 illustrates how to use touch device gestures on RadScheduler for selecting and resizing an appointment. Figure 1: RadScheduler handles tap and drag gestures on touch devices. Figure 2 illustrates how to use touch device gestures on RadScheduler for editing an appointment. Figure 2: RadScheduler handles tap and hold gestures on touch devices.